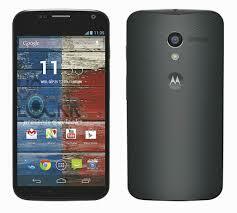 The Google Nexus 5 and Moto X are two of the hottest and most reasonably priced “next-gen” smartphones on the market. The Moto X was released in August 2013, whereas the Nexus 5 was released in October 2013. Since their release, both devices have climbed to the top in terms of sales and popularity, cementing their respecitve brand names among the likes of HTC, Samsung and Apple. But which device is the better choice? The Google Nexus 5, or the slightly older Moto X? Since screen display is one of the most influential factors most people take into account when choosing a smartphone, we’ll cover it first. The Google Nexus is the clear winner in this category, as it boasts a 4.95-inch IPS LCD screen with 1920 x 1080 resolution, whereas the Moto X features a 4.7-inch screen with 1280 x 720 resolution. With that said, the Moto X does have a slightly better pixel density of 316 PPI as opposed the Nexus 5’s 445 PPI. 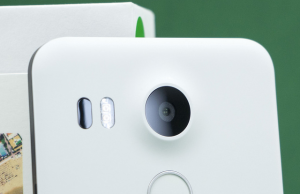 The Nexus 5 features an 8-megapixel rear-facing camera, whereas the Moto X features a slightly more powerful 10-megapixel camera. 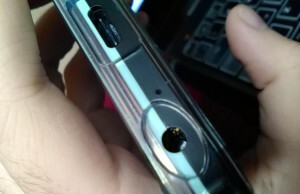 Does 2 megapixels really make a difference? I guess it depends on how you normally take photos, but user reports suggest the two cameras are very similar. Also, Google is reportedly working on some software changes that would improve the Nexus 5’s camera function in the upcoming Android KitKat update. In terms of processing power, the Google Nexus 5 is the undisputed winner with its quad-core Qualcomm Snapdragon 800 MSM8974. The Moto X, on the other hand, features a less powerful dual-core Qualcomm Snapdragon S4 Pro MSM8960. Both the Nexus 5 and Moto X feature 2 GB RAM. Another area where the Google Nexus 5 shines above the Moto X is its battery. The Nexus 5 boasts an impressive 2300 mAh battery, which is capable of running for 17 hours talk time on a single charge. The Moto X features a 2200 mAh battery, which is capable of running for 13 hours talk time. The Nexus 5 features wireless charging technology. The Moto X can only be charged via a cable. The Google Nexus 5 is available through Google Play for $349. The Moto X is available through various merchants and cell carriers with an average price ranging somewhere between $349-$400. Who do you think is the winner? The Google Nexus 5 or Moto X? We’d love to hear what you think in the comments section below! Is The Google Nexus 5 Still Worth Buying?